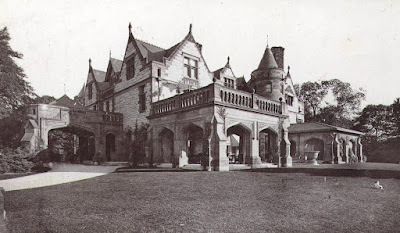 This great stone mansion once stood in Irvington, New York. Irivngton is located just north of Ardsley where the Field estate was. 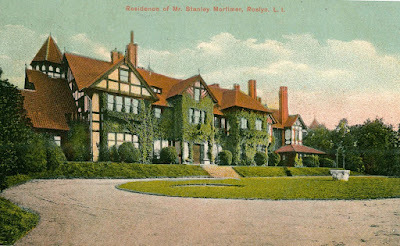 The estate was originally owned by Dr. Lucien Warner, of the Warner Corset Company and the house was designed by noted architect, R. H. Robertson in the 1890's. The next owner was Daniel Reid, the Tin Plate Baron. 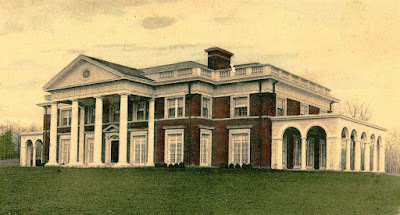 The house and estate reached it's zenith of splendor in the 1930s when it was bought by George Washington Hill, the president of the American Tobacco Company. 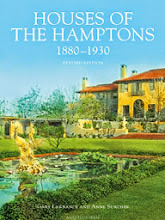 He renamed the estate, Richmond Hill and redecorated the house with opulent gilded French furniture and sculptures. He also redid the grounds which included a greenhouse, stables, lush gardens and an outdoor swimming pool. 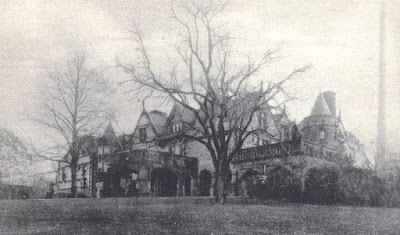 After his death, the house eventually became the offices for North American Phillips, then a religious school. The estate later became empty and fell into ruin. The stables had burned and the house had also been fire damaged, then vandalized. 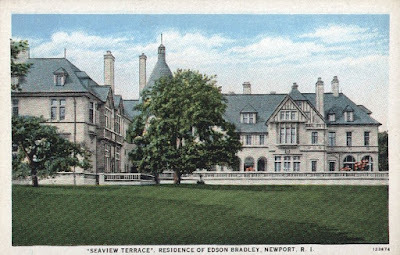 In the early 1980s, the house was demolished, leaving mysteriously the porte cochere and the tower, which was said the developer at the time, had plans to incorporate them into a new building. The property eventually became a condominium community and all that remains are some garden steps and walls. 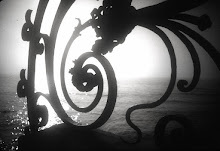 The original entrance gates are still on the road, but sealed, the only reminder of the grandeur they once protected. 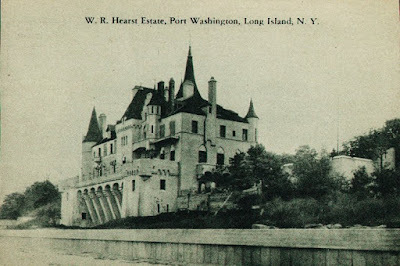 Click HERE to see an aerial of the estate in it's heyday. Click HERE to see where it was on Bing Maps. So beautiful. These posts tease me because I want to see the interiors so badly! Love all of your gilded mansions! Thank you, I have seen the interiors and they are amazing. 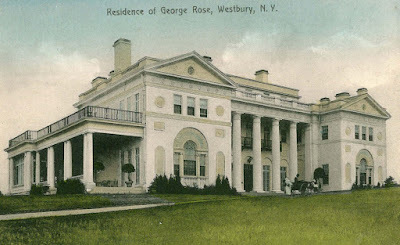 If you go to Hudson valley ruins by Rob Yasinsac, Richmond Hill, you can see the ballroom.